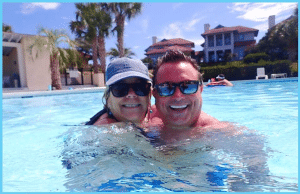 Last week my lovely bride and I carved out a little time to ‘get away’ and enjoy some ‘us’ time. After enjoying a WVU victory over the Vols of Tennessee, we headed over to Holden Beach, a wonderfully charming little family beach. While we didn’t do ‘a lot’, we actually did do ‘a lot’. And while not doing a lot, I certainly gained some momentum for the rest of the calendar year. I often say the older I get the wiser I become, not necessarily smarter, just wiser. Here are six truths I surmised from the week spent away. No matter what, friends are imperative to a happy life. I have been so blessed to have amazing, caring and thoughtful friends. My friends support me, share with me, and invite me into their world and we share a common bond of life enjoyment. Whether you call it camaraderie, friendliness, comradeship, companionship, fellowship, rapport, understanding, harmony, or a special bond, I call it a life blood. Just as Proverbs 27:9 says, a sweet friendship refreshes the soul. Relax. Relaxation is something I think I do well, but apparently, I do not. Why else would so many of my friends tell me to ‘Relax’? To relax means to relieve from nervous tension. The beach is a good place to do this. The rhythm of the waves crashing shore, the birds chirping overhead, the wind in your hair, and the sun kissing you skin equates to the best place to relax. It is for me. And I think I did a pretty good job of relaxing. Work will always be there. My mobile device dings quite often. Yes, it is part of (a big part) life, but during a few of my days ‘off’, I left the device in my room. And allowed myself to be solely with my friends. Felt great. And yes, my work was still there the next day. And the following week. Spend the money, the memory is worth it. This is something I am getting a little better at. Making memories and spending money on experiences is a valued investment. Stuff is just that; stuff. But the memories you make with family and friends are immeasurable. Our memories are who we are. Good & bad, they shape who we have become. Treasure the good ones. Learn from the unpleasant ones. You can and will make more money, so spend the money on life experiences, especially while vacationing, you won’t regret it. Gotta Sharpen Your Saw. As Covey 7th habit says, sharpen your saw. I had plenty of Covey training in the mid 1990’s. I loved it and I am so grateful for it. The last of Stephen Covey’s 7 Habits, discusses self-renewal, self-care, self-respect and self-improvement. All things you can and should work on while on vacation. Yes, even laying on the beach doing nothing, I would self-reflect and renew my soul. All in preparation of making my future better. A Grateful Soul is a Beautiful Thing. As Germany Kent was said, “It’s a funny thing about life, once you begin to take note of the things you are grateful for, you begin to lose sight of the things that you lack.” I love living the Law of Abundance. I am in awe of everything. Each day is a reminder of the precious gift of life we all have. While on vacation, it seems easier to exercise this thinking. Maybe because of more time to take note of all the wonderful things around us. There you have my 6 truths from a week spent vacationing. I feel rested, relaxed, refocused and rejuvenated. Here we go! Ready for the remaining days of 2018.